GQWEST Inc. the company behind the Aquabest and Laundrybest franchise brands recently held a seminar on how to enhance the productivity and profitability of its laundry business concept. 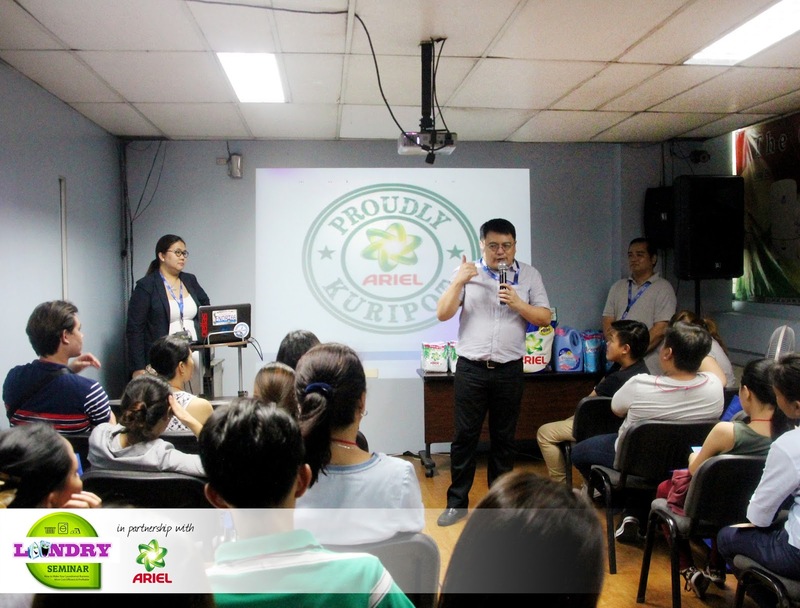 The seminar was conducted in cooperation with its official detergent Ariel. The seminar was facilitated by the company's Customer Care Manager Susan Ho and Leslie Grace Lee and Eric Sto Thomas from P&G. The seminar shared business practices with its franchisees. It also covered how using Ariel products would improve the franchisees cost efficiency and product quality. The partnership is part of the company's efforts to give added value to their franchisees and customers. "Through this partnership we can assure our customers that their laundry will be processed with the utmost care thanks to our partnership with a credible brand like Ariel" says the company’s President Carson Tan. Laundrybest is the laundromat concept attached to the company's Aquabest water refilling franchise. At present there are 50 Laundrybest stores in Metro Manila with more set to open.